Natalie Gomez | Welcome to the Don’s Mobile Glass Family! 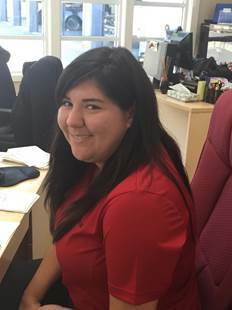 We are proud to welcome Natalie Gomez to the DMG Team. Natalie is in training to be a customer service specialist. She is a student at Modesto JC and plans to transfer to CSU soon to finish her Psychology degree. In her first week, she has gained the nickname “Sponge”….because everything she has been taught, she retains and puts to work! She has some family pressure to do great - Her dad, Eliseo, is a long time residential technician, and one of our best. Natalie will be providing outstanding customer service most often at our Modesto store, so say “Hi” when you stop in!